Sunday night I was hit with one of my not-so-infrequent cravings for cold sesame noodles. A few months back I went to House of Chang in West Cambridge for the first time and tried their noodles. I liked them more than any I’ve tried in the area thus far. The restaurant is as tucked away as any establishment located in West Cambridge. The interior is sleek and maybe a little more upscale-looking considering the prices. I started, of course, with the cold sesame noodles. They are very good, not quite excellent. One of the issues I keep coming across with sesame noodles is that they are too bland for my taste. Thankfully I have learned the solution to this is just to ask for more sauce, as it is where all the flavor comes from. It is thick and creamy, rich with peanut and sesame. I almost never add spice but I found that the dish benefitted from a few drops of the hot chili oil. A handful of julienned cucumber and bean sprouts add a satisfying note of texture. Dave ordered the beef lo mein. There isn’t much to say about good lo mein. 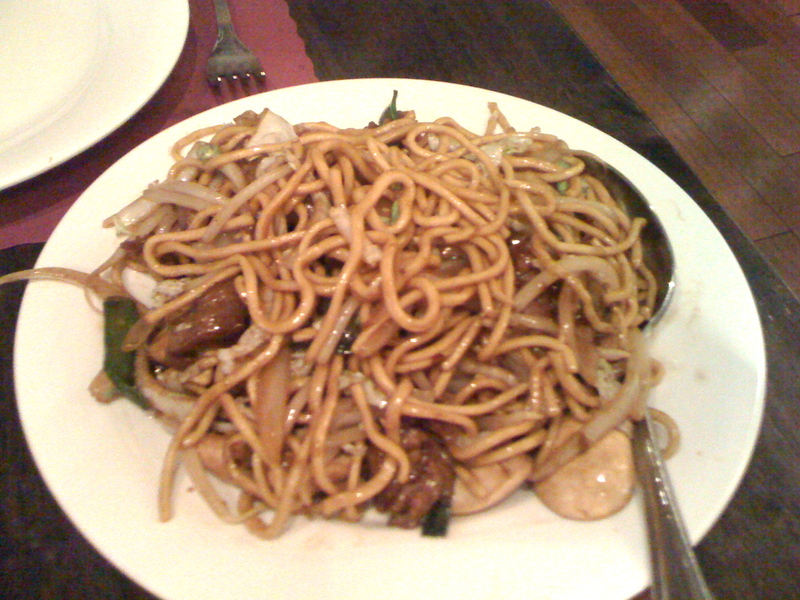 A heaping portion of chewy noodles in a flavorful and thin dark sauce, with bite-sized pieces of beef. Bits of scallion and napa cabbage added a nice crunch. 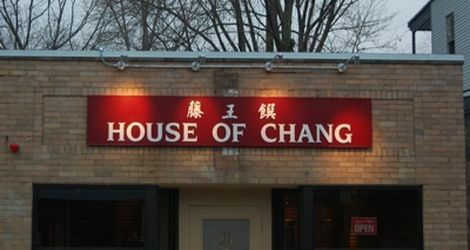 The first time I ate at House of Chang I ordered the Vegetarian’s Delight. 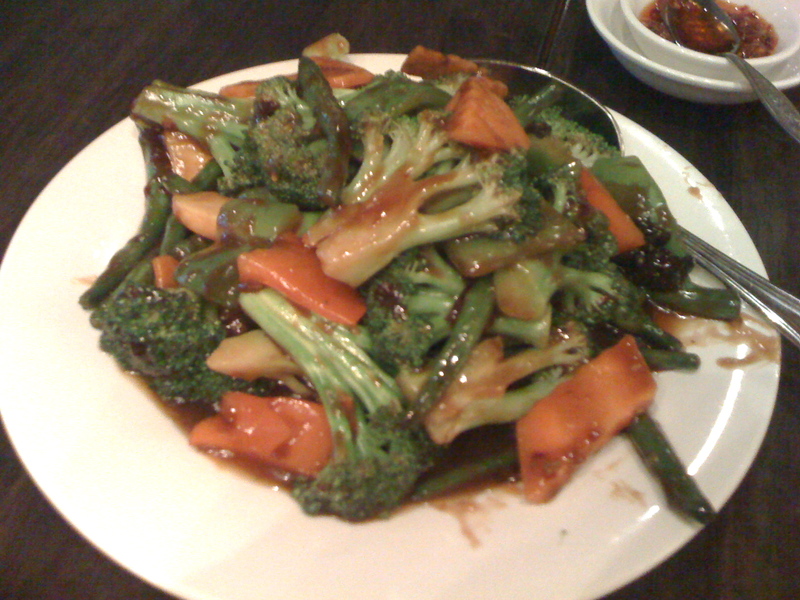 It was a standard stir fry of vegetables in brown sauce but it had a few vegetables I’m not wildly fond of. This time around I ordered just a stir fry of broccoli, string beans and carrots in spicy brown sauce with brown rice. Next time I might simplify it even further to just broccoli and string beans. The vegetables are lightly blanched and still very crunchy. There’s always far too much brown sauce but with Chinese food as I know it, I’d expect nothing less. With your bill, the staff does bring you the customary fortune cookies, but they also bring over delicious almond cookies that they make in house. I had hoped that they bought them from a nearby Chinese bakery so that I could easily stop in and procure them for myself but alas, they make them there. All the more reason to stop by House of Chang for a sesame noodle or any such Chinese food craving. 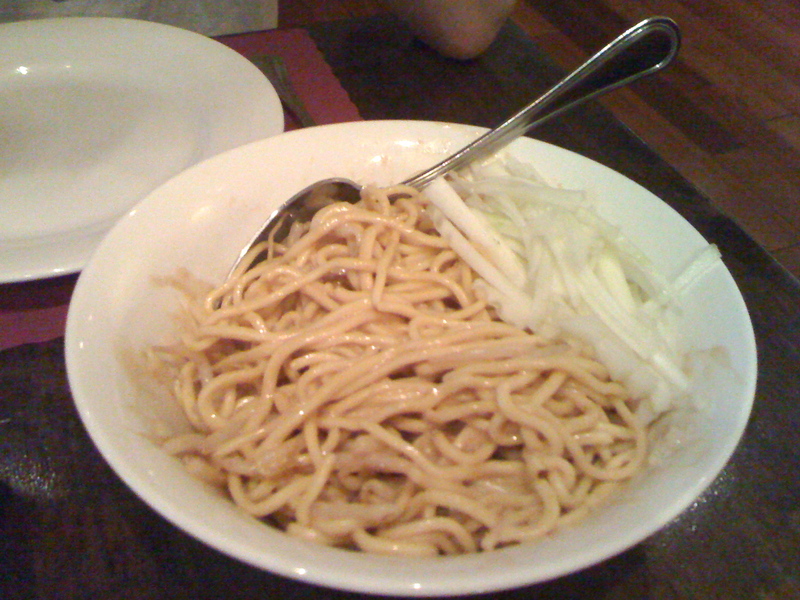 This entry was posted in Boston, Reviews and tagged Boston, chinese, noodles, Reviews. Bookmark the permalink. That almond cookie looks like a great way to end a meal! I pass this place constantly en route to Fresh Pond – definitely will need to stop in! 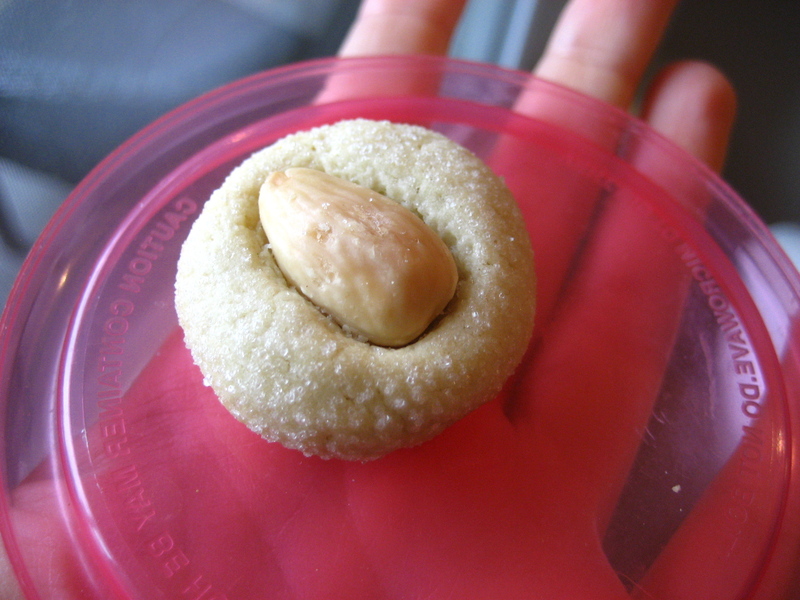 everyone should give almond cookies with fortune cookies! what a treat! This is our go-to Chinese restaurant. I wouldn’t say I love it, but it is the best place we have around here. I am a huge fan of lo mein, but I don’t think I’ve tried cold sesame noodles. Even though the cold sesame noodles were a little disappointing, they do look delicious! It’s always good to get a recommendation for a Chinese restaurant. We don’t have any near us that we like.